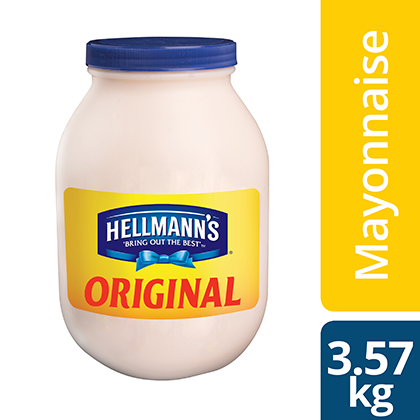 The best burgers are made with the best mayonnaise. Here’s a rich and creamy taste, crafted the original way. Vegetable oil (75%)(soybean), water, whole eggs and egg yolks, vinegar, salt, sugar, lemon juice, antioxidant (EDTA), flavouring. Allergen: Eggs and soya This product is manufactured in a factory that also processes cow's milk and wheat gluten. Use by Best Before Date. Refrigerate once opened (chilled above 4°C). Do not freeze (not below 4°C).